No vegetable in the world is more widely grown today than the Tomato. Who would think this common garden vegetable, in the nightshade family (actually a fruit!) had such a strange history? 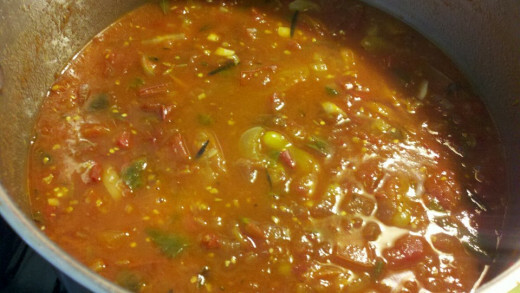 Tomatoes originated in South America and were grown for centuries by the native people. Although the leaves are toxic, the fruits are not in most varieties grown then and now. The Spaniards who colonized the Americas brought back the Tomato to Europe. Because of their rumored toxicity, Tomatoes weren't grown as an edible plant until well into the 1600's in Spain, Italy, England and those colonies the Spaniards created on Caribbean islands. The Tomato immigrated back to North America with the advent of British colonists populating the New England area and areas further south (Virginia, Carolinas). The earliest date known for tomato growing in these areas is around 1710. Thomas Jefferson was largely responsible for re-introducing the Tomato to the colonists. Having spent time in France where tomatoes were commonly grown and consumed, he brought tomato plants and seeds back with him and grew them in his garden at Monticello. There are some edible and some poisonous plants related to the Tomato. This group includes flowering plants, herbs, vegetables and trees. 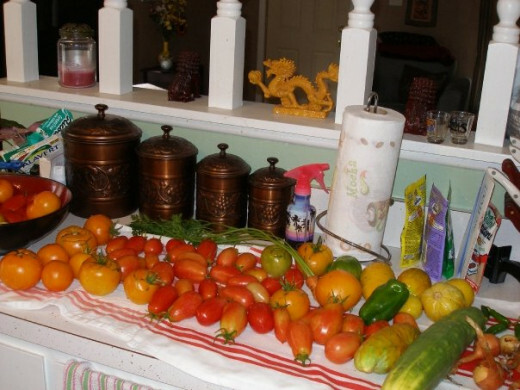 Have you successfully grown tomatoes in your garden? Yellow Pear: This variety is an heirloom cherry-type that produces lemon yellow, pear shaped fruit. They have lower acidity than red types and are surprisingly very sweet. Great for snacking fresh. 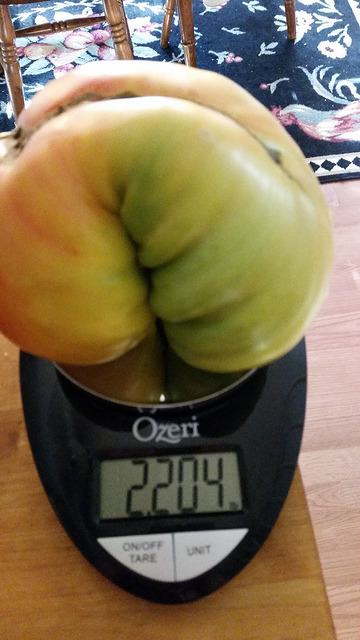 Mr. Stripey: This heirloom variety produces large fruits marbled with red, yellow and orange. A great slicing tomato with a mild tomato flavor. 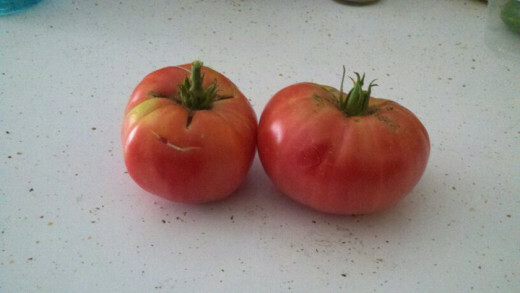 Black Krim: This heirloom originates from Russia and is a dark red-purple color when ripe. Very hearty tomato flavor. Good for slicing fresh or making sauce. Brandy Boy: One of Burpee's hybrids taking the best features of brandywine and better boy tomatoes and cross-breeding them to produce an excellent tomato. Perfect for slicing, the Brandy Boy has pink-red flesh and bold taste. Sun Gold: This hybrid cherry-type tomato is bright orange and sweet when ripe. 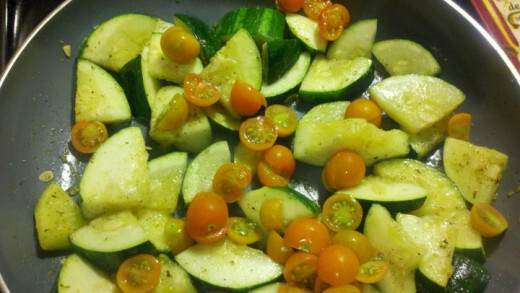 Perfect for snacking or sautéing. 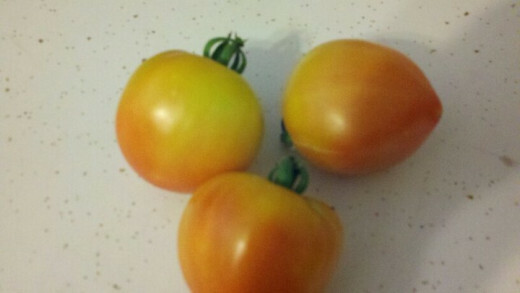 Tie Dye: This hybrid in similar in color to Mr. Stripey, but a much smaller salad-type tomato. 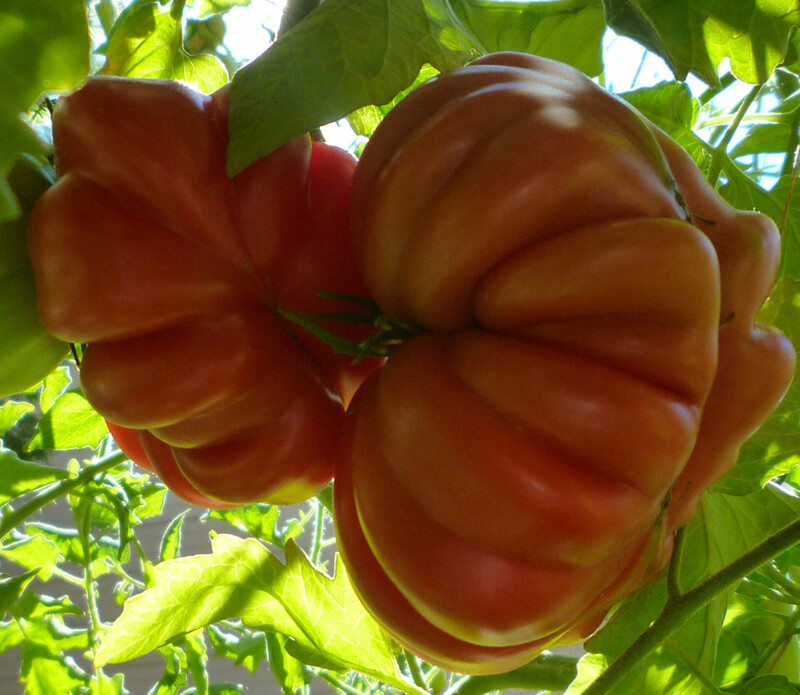 Costoluto Genovese: This heirloom Italian variety has bright red flesh and deeply ribbed lobes. It is a beautiful slicing tomato and great paste tomato for sauces. 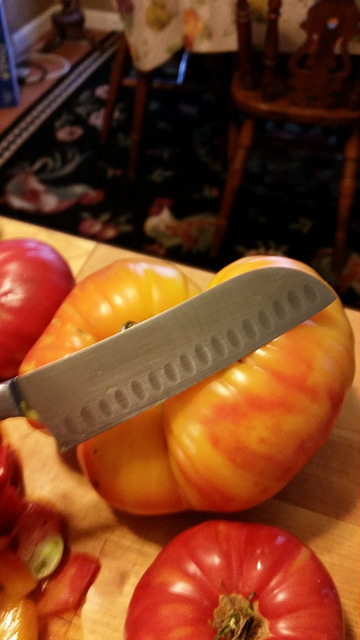 Bloody Butcher: This heirloom variety produces small slicer tomatoes perfect for salads and eating raw. 4th of July: This hybrid tomato is one of the earliest producers, guaranteed to produce it's first ripe fruits by the 4th of July! Grape: These small cherry-type tomatoes are perfect tossed in salads. Heirloom vegetables or seeds refer to any type of seed that has been grown for a number of years (since about 1940 ) and passed down from gardener to gardener. Heirloom plants are "open pollinated," which means the plants are pollinated without human intervention, so by wind or insect pollination. Many prefer heirloom plants because they have a better taste and also just because they are from old varieties. Hybrid plants are created when breeders cross-pollinate different plants in order to maximize their best features, such as yield, size, resistance to disease, and taste. Seed saved from hybrid plants aren't likely to breed true to the mother plant where the seeds were collected. Instead, the second generation may look something more like one of the parent plants used to create the hybrid. What does Determinate or Indeterminate Mean? Determinate varieties of tomatoes, also called "bush" tomatoes, are varieties that are bred to grow to a compact height. Once the plant forms fruit, the stalk will stop growing. 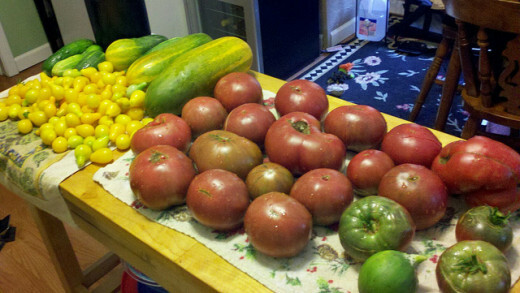 You will most likely get one large crop of tomatoes ripen at the same time. Most determinate varieties top out at about 4 feet tall and don't require much staking if at all. Indeterminate varieties of tomatoes will grow and produce fruit until killed by frost and can reach heights of up to 10 feet although 6 feet is considered the norm. These types will produce all summer long and do require extra support. 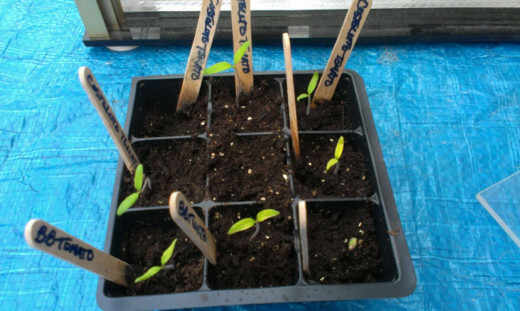 Provide at least 6 hours of direct sunlight to seedlings. Temperatures need to be between 65 and 70 degrees for seeds to sprout. Since I live in a northern climate, I like to start my tomatoes indoors. About 6 to 8 weeks before the last frost, start seeds in seeding mix in jiffy pots or seed cell kits from your garden center. Put seed starting mix into the growing cells and fill to the top. Once you water, some soil will settle. Pick out the largest tomato seeds in your packet, planting one in each cell. Cover with 1/4 of an inch of soil. If your kit comes with a plastic cover, put the cover on and place in a warm area. I find the best place is on top of the fridge. Check your seeds periodically for moisture and water if dry. Your seedling will germinate in about 7 days. At this point, place in a sunny window that receives at least 6 hours of direct sunlight. During the daytime, keep the greenhouse cover off or open to prevent seeds from molding or dampening off. Replace the cover at night to keep in the heat/ moisture. When daytime temps have reached 50 degrees or above, you can start moving your seedlings outside for the day and then bring them back in at night. Seedlings can be permanently planted into your garden after danger of frost (usually around Mother's Day for Northern climates). Tomatoes are rich in anti-oxidants and lycopene, which prevent oxidative stress on the body. Lycopene is thought to help treat and prevent prostate cancer. Tomato also helps prevent other cancers such as breast, head and neck cancers. The most common pest is the Tomato Hornworm. Tomato hornworms are known to eat various plants from the tomato family. The caterpillar will clinging to the underside of a branch near the trunk and are difficult to spot due to their green coloration, which matches the color of the tomato leaves almost perfectly. Unless you have an infestation, you can easily pick off the caterpillars by hand and destroy them. They will quickly defoliate a plant if not controlled. The most common disease is blossom end rot, which causes the fruit to produce a mushy, brown spot on the bottom of the fruit. This is more of a deficiency than a disease that is caused by calcium deficiency. An easy way to prevent this from happening is to take egg shells and place them in the planting hole. Epsom salts sprinkled in is an excellent tomato fertilizer as well. TomatoFest is the ultimate resource for heirloom tomato seeds and heirloom tomatoes with over 600 organic heirloom tomato seed varieties along with growing information. Also, home of the Carmel TomatoFest heirloom tomato festival. Seeds from Italy is a seed catalog company offering vegetable seeds, herb seeds, and flower seeds imported from Italy from the seed company Franchi Sementi. Heirloom Garden Seeds. Vegetables, Flowers and Herbs! 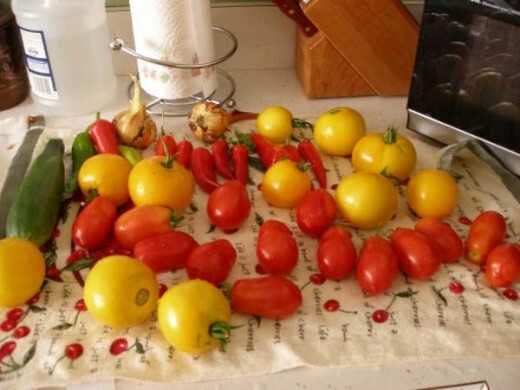 Over 1450 varieties of heirloom seeds, All NON-GMO. Check out our free heirloom seed catalog. Thank you! Originally, I was looking for an old fish tank to use as a greenhouse and then my friend, who makes jewelry said she had these sitting in her garage unused and that I could have them. They have worked out well so far. 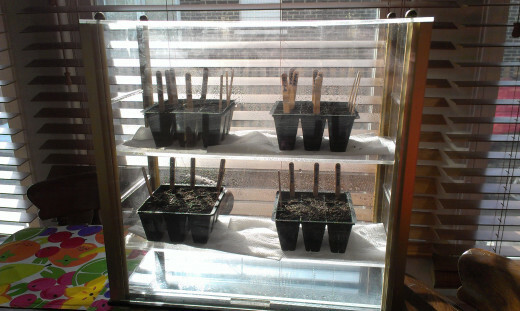 Your makeshift greenhouse is a clever idea. This is a great article on tomatoes, I didn't realise there were so many varieties. 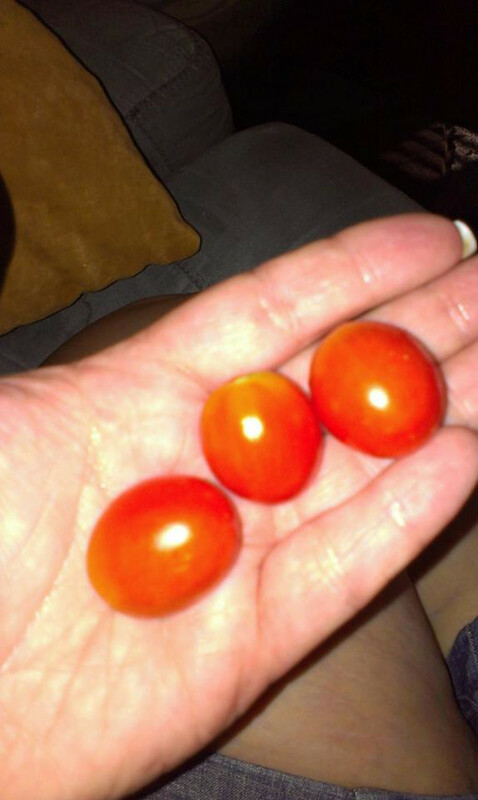 I've grown up with homegrown tomatoes and have tried growing them in my own garden with moderate success. This information will come in useful for the next crop, thanks. Voted up, pinned and shared. Interesting, useful and thanks for sharing. It seems like a good practice to try some new varieties every year. Every now and then you find a real treasure. I would think Burpee would be happy to use their photos--with a photo credit link, of course. To me it seems like free advertising, especially when there's a link for those who'd like to order. But don't take my word for it! I wrote to them repeatedly and still haven't heard back , so to make sure I don't get reported for violation, I've taken them down. There is a lack of good quality photos in the public domain. Rainy and wet here in Southeast MO. How did you get permission to use Burpee photos? Who is your contact? Bravo! Thank you! How's the weather in zone 6? Gardeners love reading other gardeners. It is always a pleasure to meet and make friends with other gardeners in the region. Voted up, useful, pin, tweet. I always try to grow something different each year. There are so many great tomato varieties! Another good source for open-pollinated and heirloom seeds is jlhudsonseeds.com, which also carries flower seed, herb seed, and many unusual seeds. The prices are good too. Like most gardeners, I have many favorites of my own. Mr. Stripey is indeed a goody--a little later than some, but worth it. I too like Constoluto Genovese, and another Italian heirloom, Principe Borghese, a very productive "cherry" type for drying. I have especially liked Druzba in recent years--nice and big and productive. I always grow Early Girl, though it's not an heirloom, because it is so early. I also always grow Rutgers (open pollinated), because it's so reliably productive. I love Cherokee Purple, but it is the only purple (or "black") tomato that does well for me--well, except for Zapotec Purple.